Ivan W. Bidstrup, 74, of Enfield, loving husband to Jilda (Brown) Bidstrup, died peacefully on Sunday, September 30, 2018, at St. Francis Hospital. Ivan was born December 5, 1943, in Des Moines, IA the son of the late Svend Buchhave and Anna Paulina (Petersen) Bidstrup. Ivan graduated from Grand View College and the University of Arizona. He had diverse careers in social work, restaurant ownership, real estate and at CCMC school as a crisis intervention specialist prior to his retirement in 2007. Ivan’s interests were varied, including golf, woodworking - having built several decks, DIY projects, cigars and scotch on the back deck, music, road tripping with Jilda never taking the same way twice and most importantly time spent with his grandchildren. He will be remembered for his compassion, wit, strong political opinions, accepting all for who they are and as a mentor to many. 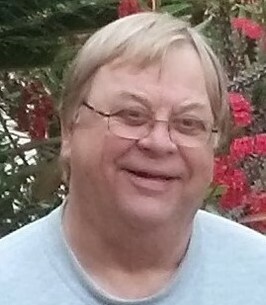 In addition to his wife Jilda to whom he was married 50 years, he is also survived by two daughters, Kathleen Snow and her fiancé, Robert Mailhoit of Broad Brook, CT and Kara Bidstrup and her partner Douglas D’Pete of San Diego, CA; two grandsons, Jacob and Nicholas Snow; a brother, Svend Bidstrup of Haddam, CT; his son at heart, Jeffrey Greening, his wife Rosana and their daughter Ivana, his namesake. As well as several nieces, nephews, cousins and many friends. In addition to his parents, he was predeceased by his brother Steven E. Bidstrup. The family would like to extend their thanks and appreciation to the medical staff at Saint Francis Hospital and Parkway Pavilion Health and Rehabilitation Center for their kind and compassionate care during his brief illness. Whether he was known to you as Ivan, Dad, GaGa, GP, Ike, Van, Irv, Uncle Irvy or Van Table’t, he will be greatly missed by all.